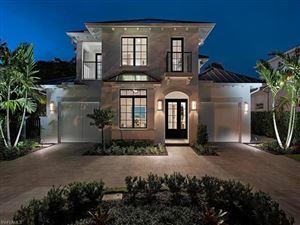 Classic, Old Florida inspired cottage with clean lines by award-winning Boston Architect Jeffrey Clark. Beautiful, black-clad Anderson windows provide the perfect contrast with the soothing shade of white on the exterior, and are in harmony with the charcoal-bronze roof tile. An abundance of glass allows the warm sunshine to illuminate the interiors, and enhance the glow of the Legno Bastone white oak flooirng, and the neutral interior paint palette. Miele appliances for the discerning; 30" column fridge and freezer, 48" dual-fuel range and double dishwashers. Interior and exterior fireplaces, plus a fire pit area allow for multiple gathering areas. The baths are covered in soothing whites and greys highlighted by Rohl and Brizo faucetry. 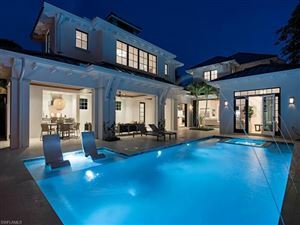 Fantastic, covered outdoor living and pool/spa areas are in perfect scale with the home. The separate entry guest suite is an architectrual highlight providing a true retreat for those special visitors. Completion late spring 2019.